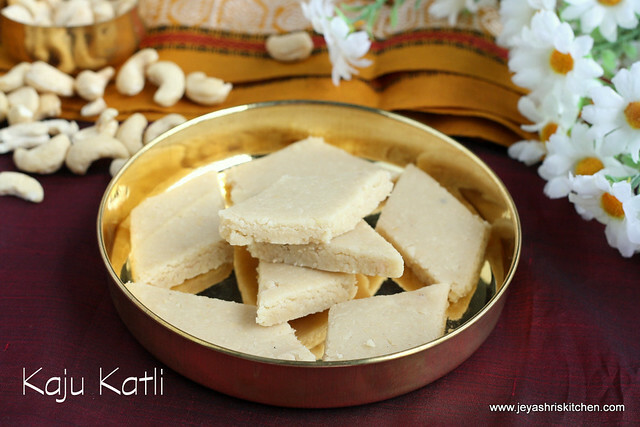 Generally, Kaju katli we make during Diwali time as it is one a must recipe for diwali at my in laws place. 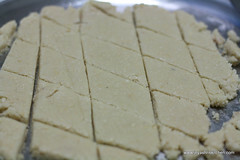 But my mil makes in a different way which i have posted already as Kaju coconut burfi. I tried this version of Kaju katli 3 years back when i learned from my cousin. 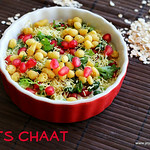 This method is extremely easy and doesn’t involve much of ghee as we use for other sweets and also it is mild in sweetness too. 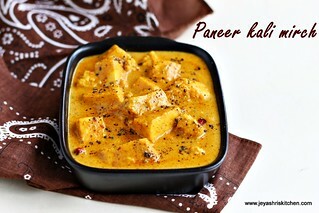 This recipe i got from my cousin and followed few tips from Lavi's blog also. Before starting the process keep the cashew nuts out from the refrigerator and pat dry it and bring it to normal room temperature. 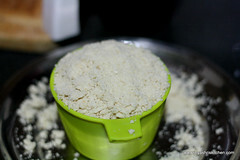 It should not contain any moisture while grinding else it will become soggy and not into a powder.. 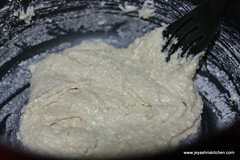 Grind the cashew into a fine powder , please ensure that the mixie should be dry. 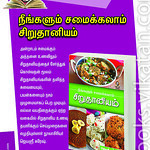 Do not over do as the cashew nuts will start emitting oil and the powder will become soggy. 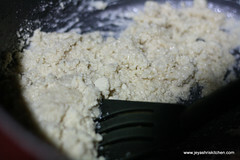 Take 1/2 cup of sugar and melt this in a wide pan with just 5-6 tblsp of water. Heat till the sugar gets dissolved stirring in between. 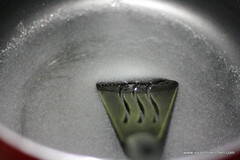 Once sugar gets dissolved stop stirring and boil till this reach one string consistency. You can check the one thread consistency of the syrup between the thumb and the index finger. This step is important. 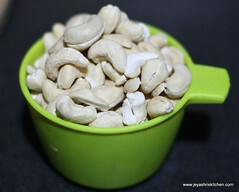 Once the consistency is reached you can add the cashew nut powder and start stirring it in a low flame. 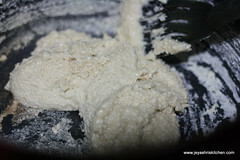 Keep doing till it reaches a soft dough consistency. Over doing this will result in hard burfis. 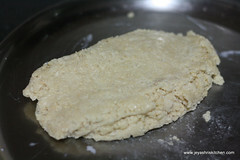 When done transfer it to a plate and when it is warm grease your hands and start kneading it into a soft dough. I sprinkled little milk as my was bit dry. but my cousin told generally by practise we will come to know the right stage and adding of more milk also reduces the shelf life of the burfis. 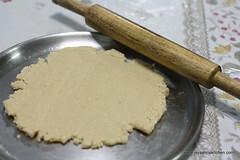 Once done, transfer it to a wide greased plate and start rolling it thinly with a rolling pin. 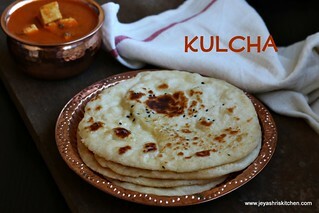 Cut them into diamonds and the kaju katlis are ready to eat now. My son loved this and he had a very nice birthday with his friends. 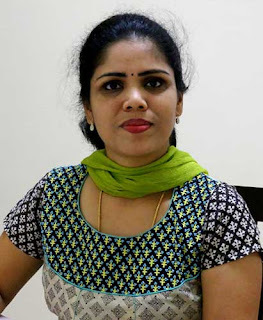 Happy birthday to your kid Jeyashri. 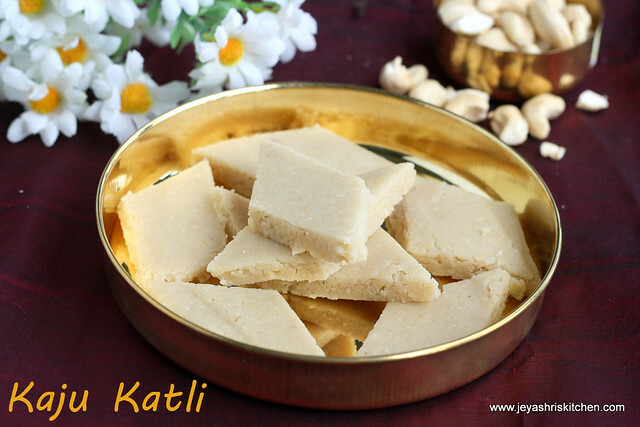 I like kaju katli too.. Looks tempting. Perfect katlis!!! belated bday wishes to dear Varun!! My son loves the diamond shaped sweets..his favourite...looks perfect and delicious..
Belated birthday wishes to your Young man, neat and prefect katlis. I like your simple method of preparation. Looks yummy! Happy Birthday to your kid and what a nice way to celebrate. one of my fav too.. looks so good! happy belated wishes to ur son, jshree ..wishing him a good health and happier years ahead. Happy Birthday to your son!!! 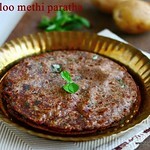 and this katili is looking super perfect!!! 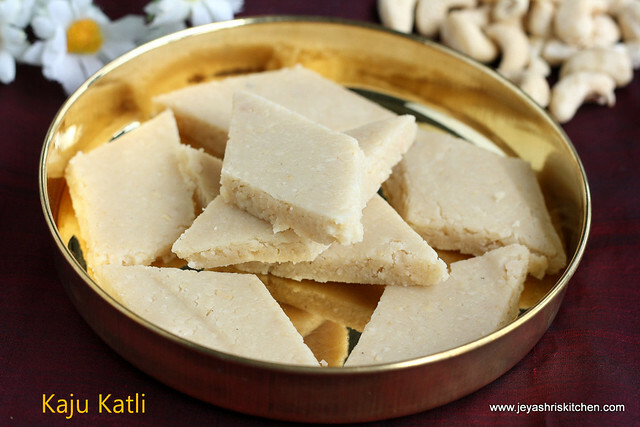 They look perfect Jeyashri, even I do it the same way..
love the kaju katli... yummy! Rich and yummy sweet, love it anytime! Jey, katli's looks so perfect and smooth! Even Ranga is keeping on asking me! 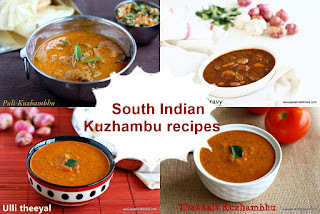 have to make it soon! 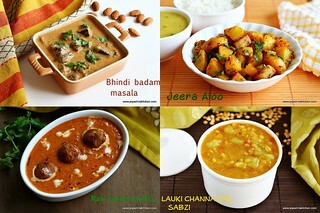 again, iam just adoring your style of food photography! I am in abu dhabi. 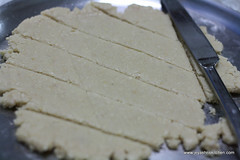 i tried today evening kaju katli, but ending i feel sugar crispiness in dough and also my dough is very silky cannot able to cut. i followed every step above you describe, by ending for hard dough you may also add table spoon of milk you have mentioned, so i followed that.. I feel the one string consistency you must not have got. Because sugar will get completely dissolved in that stage. AFter the sugar dissolved in another 5 to 10 minutes you get one string consistency. 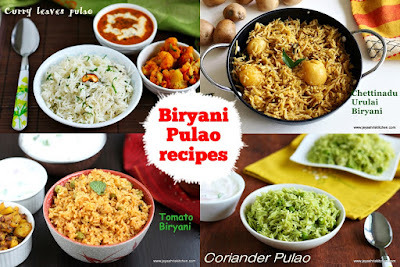 thank you so much.. your dishes are soo yummy and inspired to cook my self and my friend gayathri.. 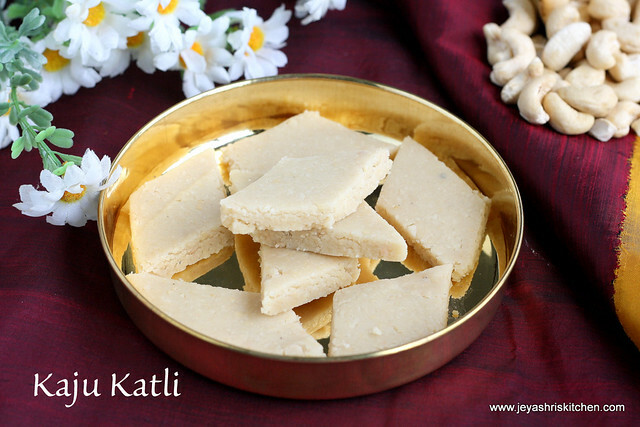 Adding a little cardamom powder and 2 drops of Rose essence will enhance the taste of this Kaju katli recipe. To top it, you can apply silver foil over it. Do try it. Thank you for the failproof recipe. Followed every step of your recipe and it turned out yummy.For a variation, I used Almonds and cashews in a 1:1 ratio. Hi the reason may be the sugar syrup may have more water and not attained the right consistency.No worries, just cook this in the pan for few more minutes and then cool it and roll.